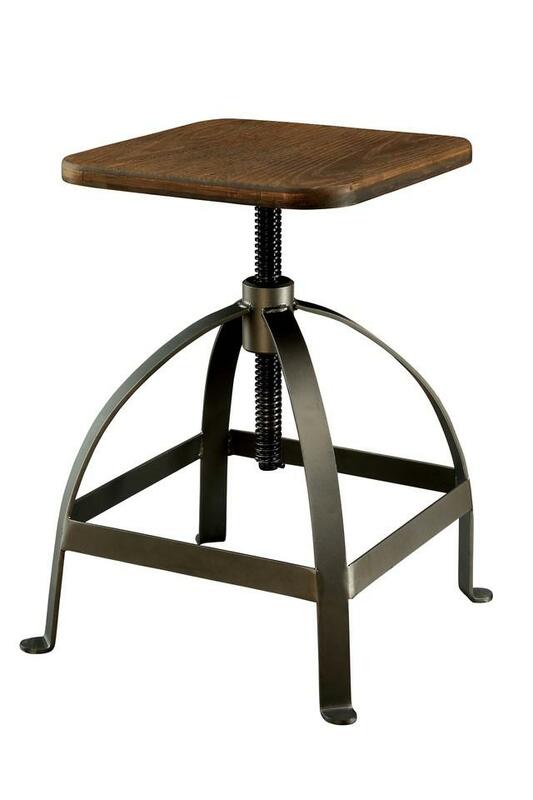 Place this industrial style bar stool in any setting and instantly urbanize the entire area! The height adjustable metal frame creates a fun visual with its arching legs while supporting the charming mango wood seat. 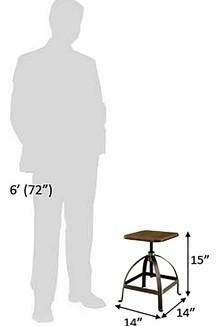 Seat height - Adjustable, Product features - Swivel, Materials - Wood and metal. Height adjustable design allows for customized height. Dimensions - 36 x 36 x 38 cm.